You’ve created your real estate WordPress blog. All of your main content pages are in place. Photos, colors, layout, forms, logo all look great. But now what – what’s the next step? Write your first real estate blog post. That’s it, just one blog post. From here, the sky’s the limit. This one success can build into a powerful perfect marketing tool for reaching new prospects in your market – and building your business. An avatar is a representation of your ideal customer. When you write your blog post, you’ll be writing for your avatar. 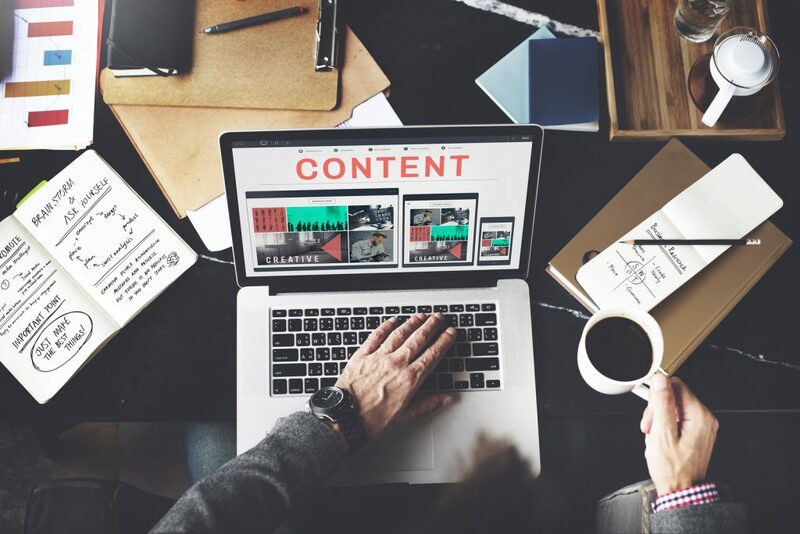 As you zero in on your avatar’s needs and wants, your content will deliver a powerful punch and provide your ideal customers to your real estate business. What industry does he/she work in? What needs does he/she have? What problems is he/she trying to solve? What are common pain points in their lives? What is his/her biggest desires? Where does he/she spend their time? What are their favorite websites? What kind of cell phone do they use? And finally, give your avatar a name. Yes, a name! For example, you might think of a past client that you had an exceptional experience with. Naming your avatar brings your ideal customer into ‘your’ reality and allows you to focus your content with purpose. Once you begin to think about your avatar, picking a relevant topic becomes easier. What is one topic that will appeal to your avatar? By now, you’ve picked your topic – and you’re ready to move on to the next step. This is the step that gets most real estate agents – I call it the ‘Blank Page Syndrome’ or BPS! Don’t let BPS prevent you from moving forward. Muscle through BPS with these simple tips. Keep it Simple – Having a broad topic will be too time consuming to write. Remember, we want a blog post only – not an ebook. Start With An Outline – Break down your blog post into 3 or 4 points (or headings). I usually start a blog posts by asking: “What are the main points of this blog post?” Then, write your introductory paragraph. And then, write your final thoughts. Section 2: 3 or 4 headings with a paragraph or two under each heading. Section 3: Final thoughts, summary and a ‘call to action’ (CTA). Fill In Your Outline – Now that you have your blog outlined, you can start adding your thoughts and filling in your content. All rules you learned in school about writing – THROW THEM OUT THE DOOR. Of course you want to communicate your ideas clearly, but the big idea here is to write in a ‘conversational tone’. Avoid stuffy corporate speak. And be yourself. Show your personality. If you get stuck, reach out to somebody you know and discuss your topic. Get feedback. Or, reach out to a 3rd party professional for input. This way, you can add another professional perspective to your content. ‘Curate’ someone else’s idea. Your topic may have been inspired by another author. Comment on your perspective, have an opinion, and write about it. Once your ‘Blank Page’ starts coming to life, you’ll find your momentum builds and you’re ideas will flow. Yay! You’re almost there! Cheers to that. Think about final touches your blog post might need. Find at least 1 ‘featured image’ that will be displayed at the top of your blog post. You may want a photo or two in the content section of the post to help communicate an idea. Once you’ve read through your post for errors, you’re ready to publish! Go for it! Congratulations. As you invest in content marketing, you’ll find that over time you’ll more and more visibility for your efforts. There are plenty of ways to promote your blog posts through social media and advertising but that is beyond the scope of this post. But find ways to share your posts in your market. Share your first post with me here or on twitter – and comment below to let me hear about your success.